Ballroom dance is a fun way to build confidence and coordination on and off the dance floor, not to mention it's a great way to get some excerise! 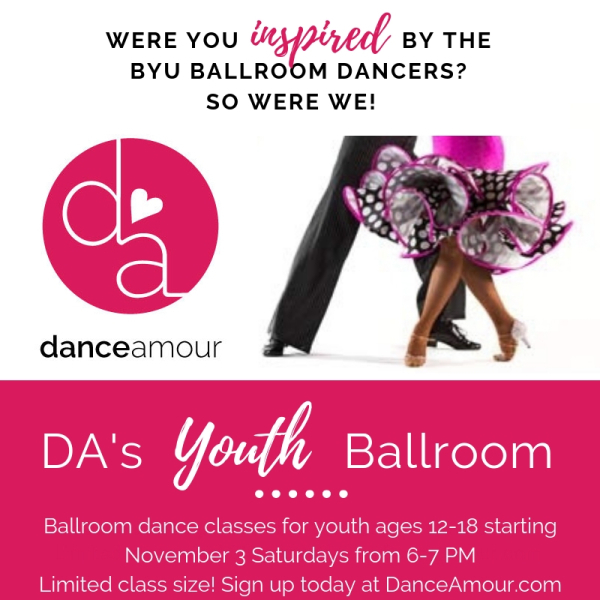 At Dance Amour, our ballroom classes for youth and adults offers a variety of styles including swing, waltz, cha cha, country swing, foxtrot and more! Adult Ballroom: Our adult couples class is taught in 3-4 week sessions where you learn 2 different styles each session. The first week of the month, come drop in to try a class to see if you want to sign up. It's only $10 per couple and makes a great date night. Classes are Friday nights from 7:00-8:00 PM. Youth Ballroom: Our Youth ballroom program is for teens ages 12-18. This class does not require a partner. Partners in class will be switched frequently. Youth classes start Saturday, November 3rd, from 6:00-7:00 PM. Dance Amour's Youth and Adult ballroom programs are headed up by Joseph Hancock. 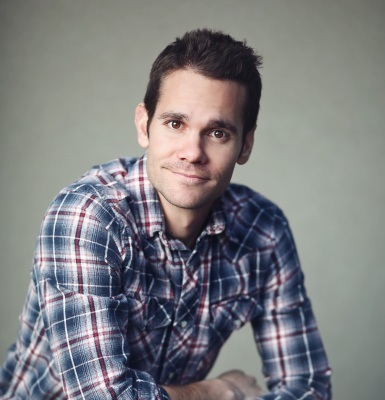 Joseph first began dance at BYU-Idaho while pursuing his Bachelors in Mechanical Engineering. Upon mastering the basics, he danced competitively until his graduation. His engineering and business career took him to New Mexico for a number of years where he continued his recreational pursuit in dance by teaching ballroom and furthered his dance training at the college. As the studio became more successful, he was able to help sponsor a number of balls for the community and assist the college in formal dance classes. He moved to Snowflake a few months ago as business grew in surrounding refineries and power plants. Charged with the task of teaching ballroom dance from ground zero, he has developed a style of teaching that enables virtually anyone to gain confidence on the dance floor!